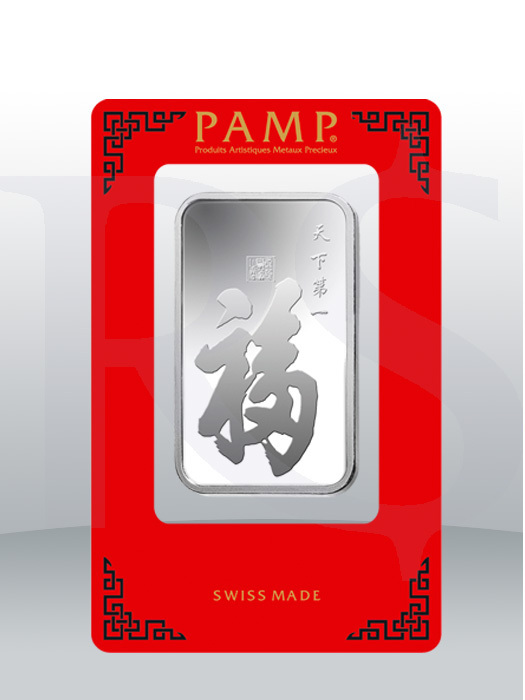 World-renowned PAMP Suisse of Switzerland brings you this exquisite and rare silver bar. Each of these bars weighs one troy ounce and is struck in .999 fine silver. The obverse side of the bar features a lovely Chinese calligraphy for "True Happiness". The reverse side contains the inscription "SWISS MADE" and the bar's weight and fineness. 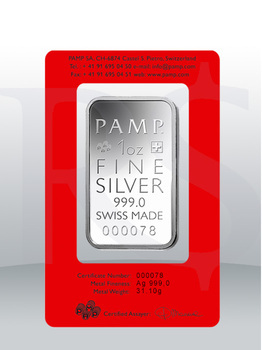 The silver bar comes with an assay card signifying its authenticity and quality. This bar is packaged in its original assay card, which guarantees the metal weight and purity ensuring a quality product. PAMP's True Happiness ingot is ideal for gift giving for any occasion, or as a treasured collectible.